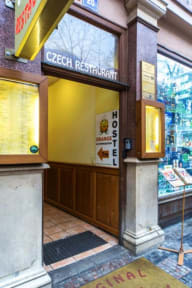 Hostel Orange i Praha, Tsjekkia: Bestill nå! Good hostel, Nice beds in the private rooms. Staff was helpful and Nice, especially Alexander who helped us out when we needed help! Close to old town and cool bars. The kitchen was not so good, old and dirty pans. Also we met some Nice people. Would stay there again!